David is a senior technology executive with a unique mix of business acumen and technical expertise. 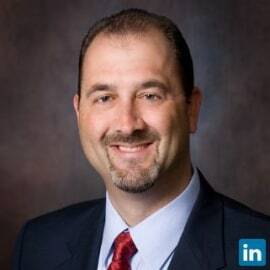 He possesses a strong background of diverse industry experience, spanning the consulting, Fortune 100 distribution, health care, and manufacturing industries. Currently the Chief Information Officer for Tidewell Hospice, he is responsible for information technology as well as building and property management. David previously served as the Corporate Director of Information Technology with Plexus Corp., a global EMS provider, where he was responsible for worldwide IT infrastructure, support, and operations. Prior to this role, David led IT for a $150M division of McKesson Medical-Surgical in Hartford, CT. He has also held various senior level technology roles with Tech Data Corporation, Reptron, Metamor Worldwide, an information technology consulting firm, and CNA Insurance. He obtained his Bachelor of Science degree from DeVry University in Chicago, and has further studied various executive courses at MIT/Sloan School of Business and Florida State University. David holds a CPHIMS (Certified Professional in Health Information Management), is a certified health care CIO (CH-CIO) and an advanced certified hospice executive (ACHE).